KOCOSTAR Long Boots Fitting Pack is a leg and foot mask that has many great features to help reduce swelling and keep your legs and feet feeling refreshed. It is great for people who wear heels to work, stand up most of the day or sit for most of the day. 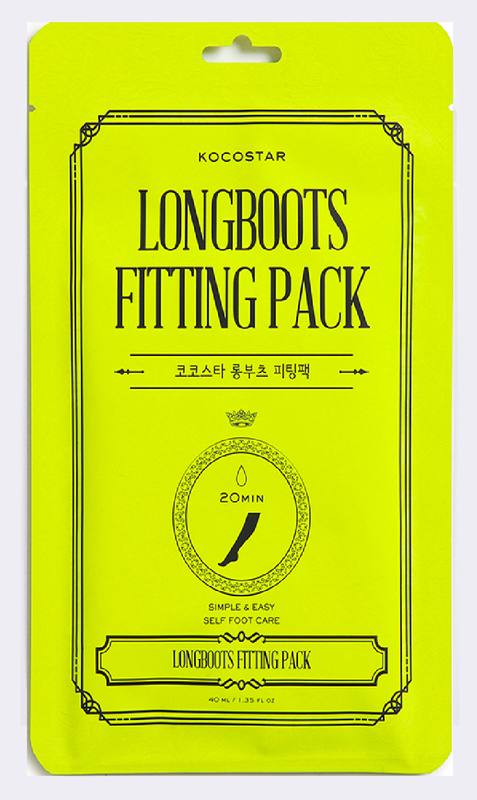 You should refresh your calves and feet with KOCOSTAR’s Long Boots Fitting Pack. It comes with a combination of 3 mint complexes, Bulgarian Rose, urea and menthol ingredients, which gives a cool and refreshing feeling, similar to an ice massage! This leg and foot mask works very well at helping to exfoliate the feet, adding moisture to the entire foot and calf area and also helps with tired, achy feet and calves too. I like how the menthol soothes and relieves pain and achiness. The urea helps to exfoliate dead skin, getting rid of calluses and nasty gross areas of skin that are not attractive on my feet. This is the kind of mask that is great to have around the spring, right before sandal season. It is very soothing and also makes the legs feel so much better that I felt amazing afterwards. 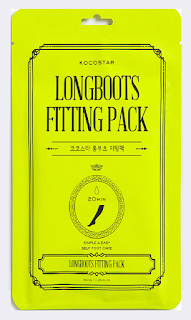 Kokostar Long Boots Fitting Pack can be found online at www.kocostarusa.com. Like Kocostar on Facebook: . https://www.facebook.com/kocostarusa/; Follow Kocostar on Pinterest: https://www.pinterest.com/kocostar/ and Follow Kocostar on Instagram: https://instagram.com/kocostarusa.